Yesterday we filmed an interview with the winner of last year’s SAMSA Seafarer of the Year Award and it was clear to see why our judging panel chose this petite and passionate youngster. Kelly Klaasen in no ordinary seafarer. She’s the type of mariner that can inspire more of our young South Africans to sign up for a life at sea. While she understands the challenges; the commitment and the hard work required to move up the ranks at sea – she is also clear about the benefits and opportunities that her career choice has provided. Getting ready to fly out to meet her next ship, Kelly will be at sea until about January next year. Yes, she will miss Christmas with her family, but she is ticking off places on the world map that she has visited (all expenses paid). 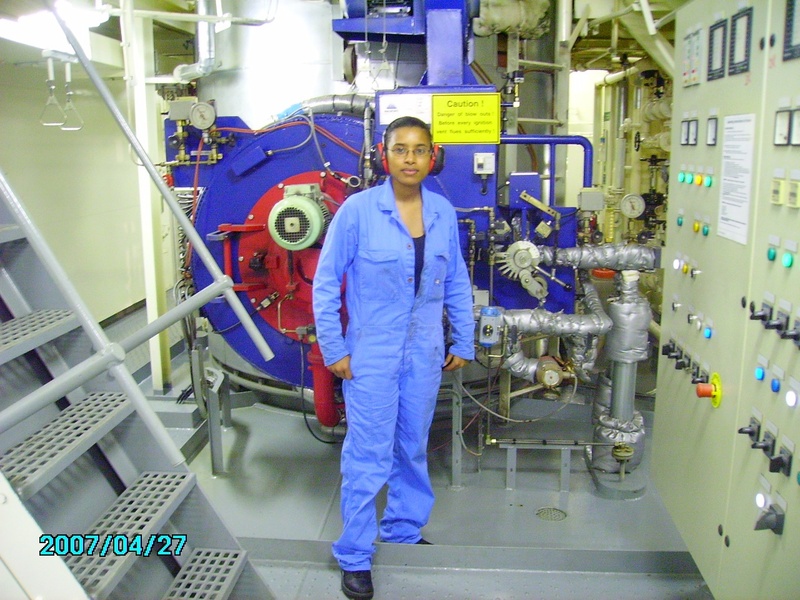 She is also working her way up to Second Engineer and knows that one day when she comes ashore there will be plenty of job opportunities for her. Chatting to her yesterday it was clear that this well-spoken and determined product of the Lawhill Maritime Centre at Simons Town High School is ready to do what it takes to make a success of her life and to promote the opportunities that the maritime industry holds. Having set aside the monetary prize (R20 000) that goes with the award for future studies there is no doubt that, when the current top brass of the maritime industry are watching from the sidelines, she will be holding her own amongst a new generation of maritime executives. The SAMSA Seafarer of the Year Award aims to identify and recognise excellence at sea. This year’s function will be held at the Cape Town International Convention Centre on 22 October and nominations close on 01 October. If your business employs seafarers of any kind who have excelled over the last year, what are you waiting for? Take 20 minutes out of your day today and make sure that they get the recognition that they deserve. You can download the nomination form from our website (www.maritimesa.co.za) or simply fill in the criteria online. Previous Save the Sea Snail! Next International Maritime Day: an opportunity lost!